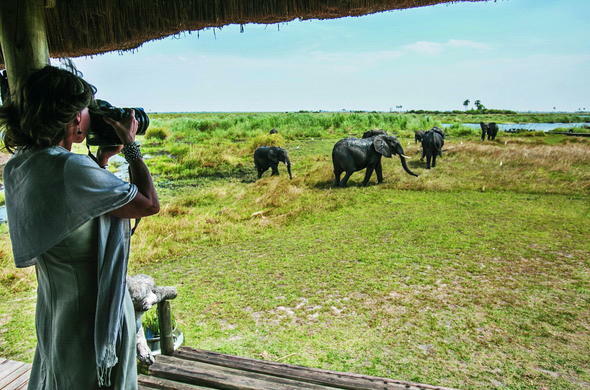 This 3 day Classic Fly-in Linyanti Wildlife Discoveries Package allows you to experience the wildlife-rich floodplains of the Linyanti Marshes. This Safari in Botswana includes flights ex/to Johannesburg, and has no set departure date. 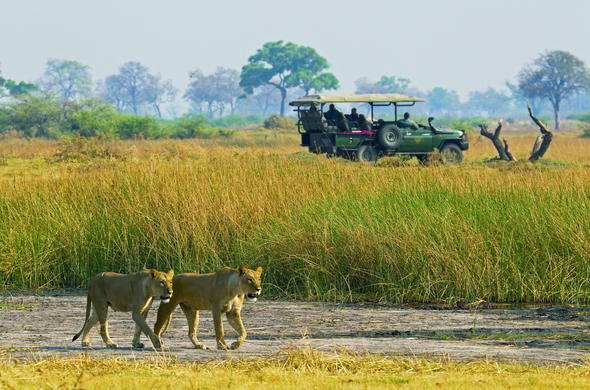 The 3 day Classic Fly-in Spectacular Linyanti Wildlife Safari Package offers you a memorable safari experience in the beautiful Linyanti region of Botswana. The area is home to what is arguably the highest concentration of Elephants in Africa during the dry winter months. 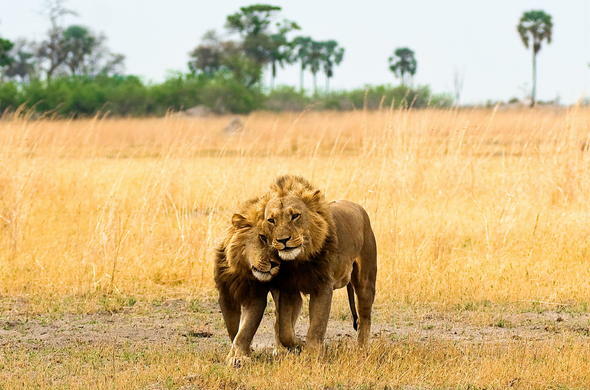 The region attracts large numbers of Zebra and other plains game which support a host of predators, including Lion, Leopard and the endangered Wild Dogs. Enjoy exciting morning, evening and night game drives. These are conducted in open 4x4 vehicles and led by knowledgeable and experienced guides. They know the area intimately and may be able to tell you stories about a particular animal that you come across. You will also be able to go on short nature walks near your bush camp. These are a great opportunity to observe the smaller creatures that live in the bush such as Warthogs, Monkey's and over 300 species of birds. On the first day of your 3 day Classic Fly-in Spectacular Linyanti Wildlife Safari you will travel from Johannesburg to Maun where you will be transferred by light aircraft to your bush camp in the Northern regions of Botswana. You will spend the next 2 nights in a comfortable bush camp that overlooks the Selinda Spillway, a unique waterway that links to the Okavango Delta.Once you have arrived in camp you will enjoy refreshments and a light lunch before leaving on an afternoon game drive. At sunset you'll stop off in a scenic spot to watch the sunset before returning to the bush camp to enjoy a delicious African inspired dinner. Set off on an early morning game drive in an open 4x4 vehicle. These are led by knowledgeable guides who can tell you about the local flora and its uses, they will recognise individual animals and be able to tell you about their habits.On game drives you may see animals such as Zebra, Wildebeest and Lechwe as well as many predators, including Cheetah, Lion and Wild Dogs. Game drives can be combined with guided game walks, which are an opportunity to see the over 300 species of birds found in the region.You'll return to camp to enjoy a delicious lunch and have some time to relax before heading out on your afternoon game drive. Once again you'll stop in a strategic spot to enjoy sundowners and take in the spectacular sunset. You will then continue your game drive to see what nocturnal animals you can spot such as Serval, Spring Hare and Porcupines. On the last day of your 3 day Classic Fly-in Linyanti Wildlife safari package you'll once again set off on a last morning game drive. After a delicious breakfast you will be transferred to the airstrip for your light aircraft flight back to Maun, where you will connect with your flight to Johannesburg O.R. Tambo International Airport. This calculation is based on a 3 day fly-in Linyanti package for 2 guests, all inclusive of accommodation, all meals, and game viewing activities, scheduled flights ex/to Johannesburg O.R. Tambo International Airport. 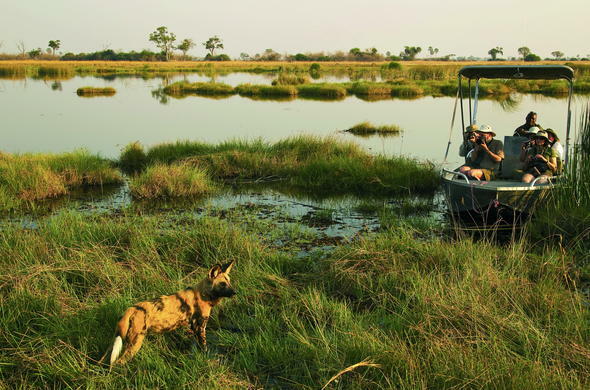 This Botswana package can also be combined with a stay in the Okavango Delta and the Central Kalahari.